Heidi has called Nantucket “Home” since 1986 after falling in love with the island during her first visit in 1984. After graduating from the University of New Hampshire with a Bachelor’s degree in Plant Science she moved to the island and started a small gardening business. Needing something to do in the winter, she became a real estate agent and for the next 16 years worked at one of the most respected real estate offices on the island. Heidi was the former Chairperson for the Nantucket Island Big Brother/Big Sister Program, now known as Mentoring Youth Nantucket and a member of the Cape Cod Board. She also spent eight years mentoring a “Little Sister” who she is still in close contact with. Heidi is an active member of The Nantucket Garden Club, having chaired the Annual Daffodil Show and is a Member of the Garden Club of America. Heidi is an active community volunteer and a weekly volunteer for the Seconds Shop which benefits Fairwinds, formerly known as Family & Children’s Services of Nantucket. Heidi’s passion is gardening, other interests include travel, cooking, biking, walking and skiing. To relax and re-charge you can find Heidi in one of her gardens surrounding her home. 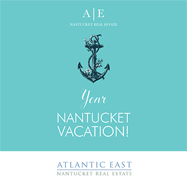 As a Real Estate Broker and Principal of Atlantic East Nantucket Real Estate, Heidi is member of the National Association of Realtors, The Massachusetts Association of Realtors and locally, the Nantucket Association of Real Estate Brokers, where she serves as a member of the Ethics & Grievance Committee and the Community Outreach Committee and in the past as a member of the Education Committee. Heidi is a Charter Member, being one of the 1st real estate agents in the country to become at Resort and Second Home Specialist. She is also a Certified Buyer Representative and a Seller Representative Specialist.